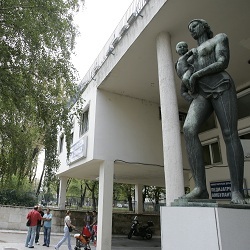 Kindergarten “Vracar” has 15 groups assigned to different hospital departments. 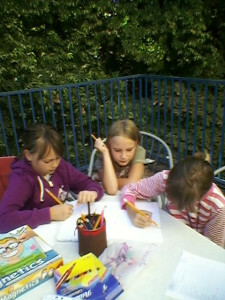 – Stimulate children’s activities in accordance with the childrens’ needs and health status. – Provide better adaptation of children to the hospital and disease conditions and thus prevent psychological consequences of hospitalization. – Create conditions for maintaining physical and mental development of children, especially during long hospitalization. – Providing emotionally warm atmosphere in the hospital, taking care and supporting kids. – Devising individual and group activities for children in the sick room, dining room, playroom, on the terrace and in the hospital courtyard. – Organize festivals, celebrations and exhibitions. – Work with parents who stay at the department through individual interviews, involving parents in working with children. – Consult every day with the staff about the patients’ health and their capabilities in order to provide psychological care. – Cooperate with humanitarian and professional organizations and get involved in activities related to sick children. – Implement preschool program that is mandatory and can be carried out in hospital.